Which Pac-12 North teams play the best and worst out of conference schedules? We’re up to the Pac 12 in our nonconference schedule grades. This conference has missed the Playoff in two of its four years, and is second only to the Big 12 in its scheduling disadvantage. This means that a good nonconference schedule is important to Pac 12 schools in order to impress the selection committee, but there is far less margin for error so the potential extra losses are deadly. As always, a good schedule is a double-edged sword, but that is more true for the Pac 12 than other conferences. A bad reputation is hard to overcome. And, as far as the CFP is concerned, the Pac 12’s reputation isn’t good. A few notes before I begin. First of all, this is a highly subjective process, because it has to be. I have general outlines, but every team has to be judged on its own merits. It would be foolish, for example, to expect the exact same schedules out of Alabama and Kansas. Obviously, a College Football Playoff contender has to be held to a higher standard. Second of all, I will give a grade for each game and an overall grade. The overall grade is not simply an average of the individual grades. It is a grade in its own right looking at the totality of a team’s nonconference schedule. Every game against an FCS team earns an automatic F. But if a Power 5 team schedules one FCS team and two other really good games, the one FCS game won’t really hurt the overall grade. Finally, the Big 12, Big Ten, and Pac 12 are relatively simple as to how to judge the schedules. There are only three games. I expect one game against a Power 5 team of relatively equal standing. The second game should be against at least a challenging Group of 5 team, and I’ll accept one cupcake as the third game. The ACC and SEC–who each play four nonconference games–present a very different challenge in grading. As I said when grading the ACC, I really like this home-and-home. It’s two middle-of-the-pack P5 teams squaring off, and their offenses usually make it fun to watch. Usually, playing BYU is a decent game. BYU has been trending the wrong direction under Kalani Sitake, though, so it’s hard to know how the Cougars will look this year. Still, traveling to Provo is never easy. Cal finishes with an easy win against an FCS team. It’s not a bad schedule from a team that will probably struggle to make a bowl in a loaded division, not to mention cross-divisional games against USC, UCLA, and Arizona.. In the past four years, we’ve seen Oregon play home-and-homes against Michigan State and Nebraska. We’re not getting that this year. It’s an FCS team that used to have fun offense. Then again, the Vikings went 0-11 last year. Oregon’s third cupcake game. I honestly don’t know which of the three teams is the worst. Yeah, it’s that bad. When grading the Minnesota Golden Gophers, I said it would be tough to see if anyone else can outdo how weak their schedule is. Well, congratulation Oregon. This is the worst nonconference schedule in all of P5. I honestly cannot imagine the lengths a team would have to go to to try and do worse. I’ll never give someone a bad grade for playing on the road against a guaranteed preseason Top 5 team, but this is certainly not what the program needs. It’s an FCS game and should be Oregon State’s only guaranteed win of the season. This is a nice road trip for the Beavers to take. It lets fans go to Nevada and gets some desperately-needed recruiting done. Oregon State isn’t making a bowl this year. It needs to do a lot to rebuild the program. The Southern Utah and Nevada games help on that front. The Ohio State really doesn’t, other than getting some cash. The Aztecs are a top Group of 5 team. They have won 10 or more games each of the last three seasons, including a win over Stanford last year. Pulling off an upset on The Farm will be tougher than in Qualcomm Stadium last year (a lack of Rashaad Penny will also hurt), but this is a quality game for a potential New Years’ Six (and dark horse CFP) team to open with. Stanford gets a huge conference game against USC in Week 2, so we’ll excuse following that up with an FCS team in Week 3. Stanford starts the season off with a ridiculous stretch, including road games against Oregon and Notre Dame. Still, playing Notre Dame on the road is never a bad thing. There’s an FCS team in here, but Stanford is doing all I ask of any team. One game against an equivalent P5 team, one game against a good Group of 5 team, and one cupcake. Washington opens the season with a huge “neutral-site” game against Auburn. Something tells me that ESPN won’t be lining up cupcakes to mock Washington this year. The Huskies follow up the Auburn opener with an FCS game. With BYU’s current state, playing the Cougars as a marquee nonconference game is a bad idea. As a second potentially tough game? That’s all right. Chris Petersen has turned Washington into a perennial Playoff contender. 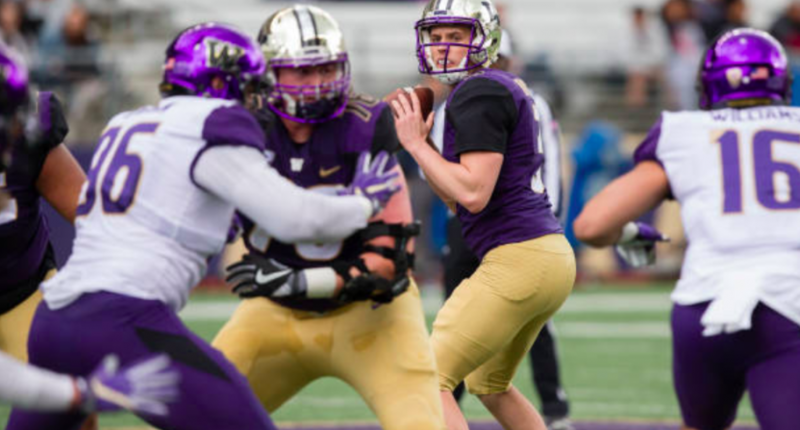 Now, the Huskies are finally scheduling like one. Don’t sleep on the Cowboys. Craig Bohl has turned a once-bottom program into a tough game for any team. A road trip to a good Group of 5 team is a risk for this Washington State program, which has a recent history of embarrassing Week 1 losses. Following Wyoming up with a true cupcake is a bit of a weak move, especially when we see the final game. To be fair, the Eagles might be a better team than San Jose State. On the other hand, Washington State needs revenge for a loss two years ago. Washington State could be anywhere from 10-2 to 7-5 this year. If that record is anywhere near the top end of what it could be, though, this schedule will hurt any chance the Cougars have a New Years’ Six bowl game. A road game at Wyoming is nice, but it’s not meant to be the top game on any schedule.